From Two Old Broads Do Santa- get ready for some laughs! If you live int he valley and have not heard of these illustrious women, do yourself a favor and look them up! If you have heard of them, you already know that one of them being involved in a production is enough reason to buy a ticket, let alone both of them! 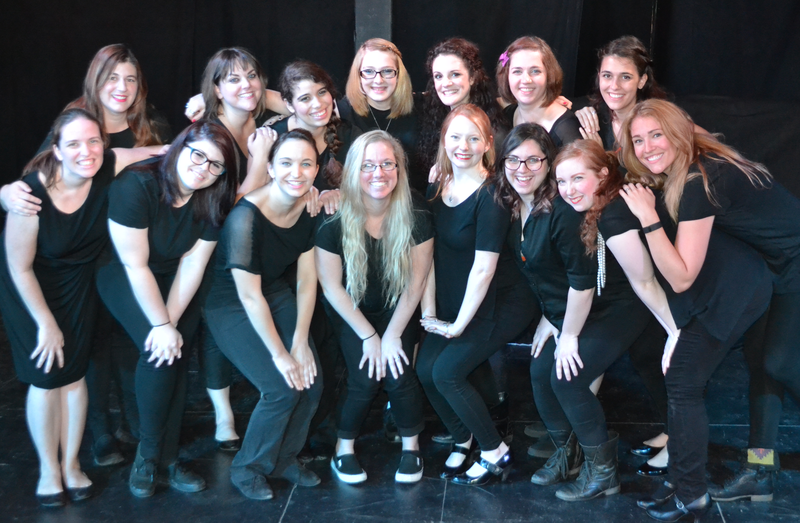 A few years ago these talented actresses got together to write Two Old Broads as a fundraiser for the Theatre Artists Studio and then had an encore performance run as part of the Lunch Time Theater season that next year. I saw it and loved it in both iterations. They then wrote a sequel called Two Old Broads Do Santa which I heard was even better, but unfortunately I missed it because I was in the middle of teething insanity with my son and running on very little sleep, so this year: I’m planning on childcare and finding a way to see what is sure to be a hilarious, music filled romp. If you haven’t heard of Lillian Hellman then this show is a great place to brush up on your theatre history/ old school Feminist writing. Hellman wrote this play in the 30s and it was pretty gutsy back then to explore the themes of suggested homosexuality. If you see this production and like Hellman’s writing, I also strongly suggest reading or seeing Little Foxes! Just a few of the amazing ladies I had the privilege of performing with this weekend in Brelby’s Miscast Concert! Some of these women will be writing After Hours at Rosie’s Pub! A new work! A new collaborative work! And it’s not by A woman, but SEVERAL women! Here’s the lowdown: “After the lights have dimmed, and the early crowd has left the scene, Rosie’s Pub is frequented by a medley of female revolutionaries from throughout history. As they take the stage for an unconventional open mic night, they tell their stories through song, poetry, and narratives. Their individual histories weave together, and allow them to pose questions about today’s world. Its history like you’ve never heard it before, and these women have a lot to say.” I can’t wait to see which women they’ve picked to tell their stories!